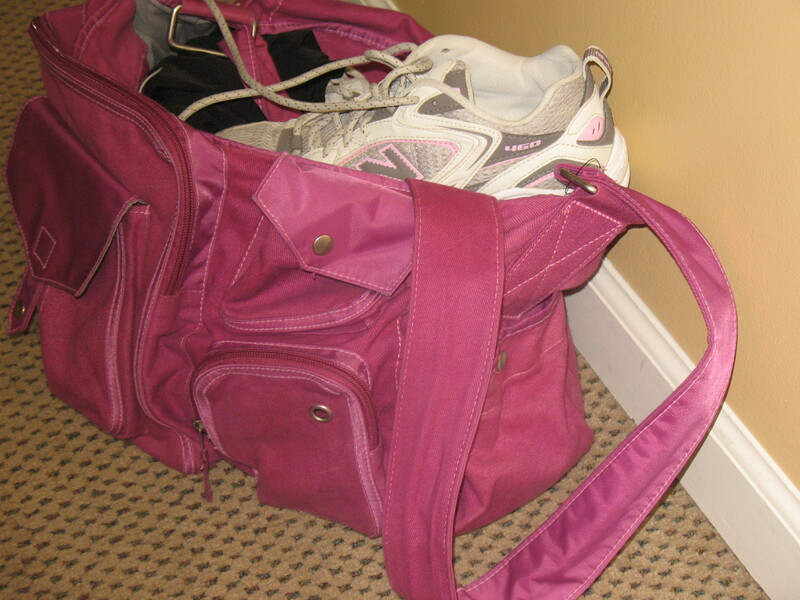 Nobody puts gym bag in the corner! The cold, damp, dark evenings in Kansas City come early. And my spring/summer/fall routine of running with Gertie after work dies a slow death. There is nothing more appealing on these chilly nights than my couch, a blanket, some pasta (with heavy cream somewhere in the sauce) and a glass of wine. Preferably after I swing by our work break room and snag a few of the ever abundant treats that magically appear at this time of year for my drive home. Last month I started pushing myself to go to the gym (aka, my old apartment complex where Roomie still lives and I have gym privileges from the management) to run on the treadmill at least three times a week. On top of my regular Saturday or Sunday long run, that seemed pretty good. I’m not going to lie. It’s a hard turn to make. The couch, pasta and glass of wine call my name. But once the rickety old treadmill rumbles its regular start-up regime, I’m always glad I kicked myself to get there. But then my newest bloggy friend posed an interesting challenge. Then Heather Said: Join the whittlers. Apparently it’s a new movement sweeping the blogosphere…or a few of us bloggers who want a fitness challenge. So I said sure. I’m game. And Monday evening, I found myself laying on a yoga mat in our office flailing my legs around, trying to hold my body in awkward poses and probably making a real mess of a respectable ab work out. But I got through 9 minutes of a routine. There were some serious uggggghs as I let down my legs and felt my hamburger meat abs contract. So bring on that wedding dress in February. Maybe, just maybe they’ll have to synch that corset just a little bit tighter come February. Don’t worry – I won’t be posting before/during/after photos here. No one wants to see that… But I will keep you updated on my progress.